My Blog, will help me learn more about issues important to you, and how you feel about issues important to me. My personal site receives no funding from the City. I am committed to an open and transparent government process - all files here will be public, stored only at Blogger.com and this Gmail account. I won't publish/share private addresses, but they may be subject to legal disclosure. The Trinidad Land Trust is hosting an Open House to discuss the future of the Trinidad Art Building on May 24th at 7pm. 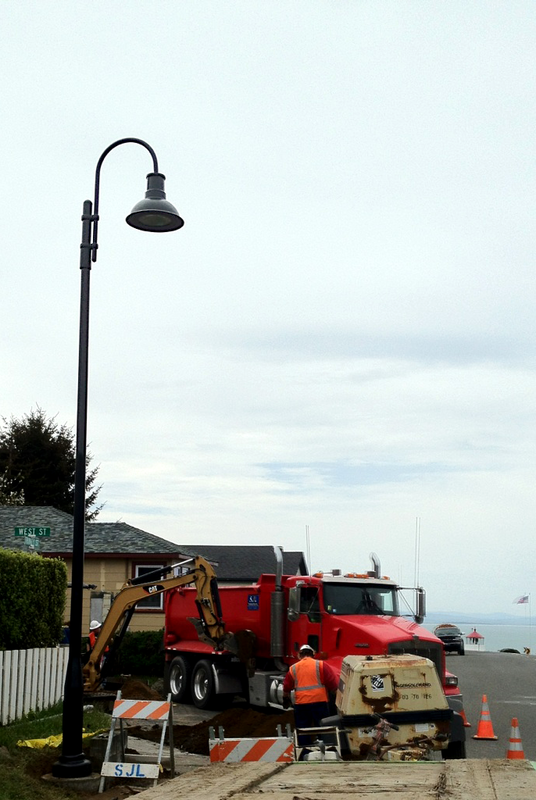 Trinidad Street Lights - Looking Good! Can't wait to see Trinidad lit up by our new street lights. A great beautification project for our charming little town, they match the ones we put in around the Trinidad Museum and Saunder's Park. 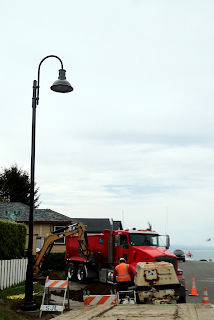 This one is getting hooked up a block up from the Trinidad Bay Bed and Breakfast, near the Trinidad Memorial Lighthouse. Leave it @ "The Door"
Like the sign that used to remind us, as it hung above the exit doors at Town Hall, I suggest we "leave it at the door." This means we air our political disagreements here, and inside the Hall, and then leave them, as we return to our supportive community in one of the most beautiful places in the World - Trinidad. Here at "The Door," my Blog will help me learn more about issues important to you, and how you feel about issues important to me. All from the comfort of our computers. Please put PRIVATE in your Subject Line, and "sign" your email, if you'd like me to ask permission before I quote from it. Born August 5, 1964 in Montana, adopted and raised by middle-class parents in the SF Bay Area, California, I experienced the ups and downs inherent in relationships, and learned an important value from my Dad along the way - "any job worth doing, is worth doing well". My life has been more about luck than any plan I've set - though my mother has taught me that spiritually, we make our own luck. In San Francisco, my second favorite city after Trinidad, I had a successful career as an Art Director, Graphic Design. I also built my first house. I'm grateful for the many amazing and inspiring people I met along the way to Trinidad. 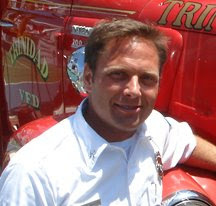 Retired for 13 years, Trinidad keeps me busy with new roles - purchasing and remodeling the town's B&B, back to school for Emergency Medical and Fire Service for our Trinidad VFD, working on the Greater Trinidad Chamber of Commerce Board of Directors, and running meetings for the past few years as Planning Commission Chairman. As a City Councilmember, I've started my newest job with a renewed commitment to one of my favorite values, and with gratitude for my inspiration - this one is worth doing really well Dad.